– Presidential Decree No 18-337 of 25 December 2018 establishing administrative constituencies in major cities and some new cities and determining the rules of their organization and functionment. – Executive Decree No 18-254 of 9 October 2018 on the establishment, the composition, the missions and the functioning of the National committee for the facilitation of air transport and airport facilitation committees. – Inter-ministerial Order of 22 October 2018 amending and supplementing the annex to the Inter-ministerial Order of 4 January 2003, establishing the list of State mixed aerodromes. – Presidential Decree No 18-58 of 5 February 2018 ratifying the Headquarters Agreement between the Government of the Democratic Republic of Algeria and the Arab Organization for Agricultural Development, concerning the housing of the Regional Office of the Arab Organization for Agricultural Development in the Arab Maghreb Region, signed in Algiers, on 26 October 2016. – Executive Decree No 18-88 of 13 March 2018 amending and supplementing the Executive Decree No 97-482 of 15 December 1997 on the support of prices for energy products used in agriculture. – Executive Decree No 18-212 of 15 August 2018 on the terms and conditions for exemption of the value added tax on sales of barley and maize, and materials and products for use in cattle feeding. – Executive Decree No 18-04 of 15 January 2018 supplementing the Executive Decree No 12-98 of 1st March 2012, establishing the Technical Center for Agro-Alimentary Industries (CTIAA). – Order of 9 December 2017 making mandatory the method of calcium and magnesium determination in water by atomic absorption spectrometry. – Order of 31 December 2017 making mandatory the method of sample preparation, of the main suspension and the decimal dilutions for microbiological examination of meat and meat products. – Inter-ministerial Order of 19 October 2017 setting the terms and conditions applicable to nutritional labeling of foodstuffs. – Order of 21 February 2018 making mandatory the method of determination of phosphorus in water by ammonium molybdate spectrometry. – Regulation No 17-03 of 6 December 2017 amending and supplementing the Regulation No 09-02 of 26 May 2009, on the operations, instruments and procedures of monetary policy. – Decision No 18-01 of 2 January 2018 publishing the list of banks and approved financial institutions in Algeria. – Regulation No 18-01 of 30 April 2018 amending and supplementing the Regulation No 04-03 of 4 March 2004 relating to the bank deposit guarantee system. – Regulation No 18-02 of 4 November 2018, on the exercise conditions of bank operations in the field of participatory finance by banks and financial institutions. – Regulation No 18-03 of 4 November 2018 relating to the minimum capital of banks and financial institutions operating in Algeria. – Regulation No 18-04 of 4 November 2018 creating a banknote of five hundred (500) Algerian dinars. – Regulation No 18-05 of 4 November 2018 issuing and putting into circulation of a banknote of five hundred (500) Algerian dinars. – Regulation No 18-06 of 4 November 2018 creating, issuing and putting into circulation of a metal coin of one hundred (100) Algerian dinars. – Regulation No 18-07 of 4 November 2018 creating a banknote of one thousand (1000) Algerian dinars. – Regulation No 18-08 of 4 November 2018 issuing and putting into circulation of a banknote of one thousand (1000) Algerian dinars. – Presidential Decree No. 18-180 of 3rd July 2018 appointing two members of the Constitutional Council. – Presidential Decree No 18-181 of 3rd July 2018 on the publication of the nominative composition of the Constitutional Council. – Opinion n ° 03 /A.L.O/C.C/18 of 2nd August 2018 relating to the control of conformity of the organic law setting the conditions and the modalities of implementation of the exception of unconstitutionality, to the Constitution. – Organic Law No 18-16 of 2nd September 2018 setting the conditions and procedures for the implementation of the exception of unconstitutionality. – Opinion n ° 04 /A.L.O/C.C/18 of 2nd August 2018 relating to the control of conformity of the organic law relating to the Algerian Academy of the Amazigh Language, to the Constitution. Presidential Decree No 18-72 of 25 February 2018 ratifying of the Memorandum of Understanding in the field of consumer protection, control of products and services between the Government of the Democratic Republic of Algeria and the Government of the Kingdom of Saudi Arabia, signed in Ryad on 15 November 2016. – Order of 6 June 2018 setting the specific information procedures applicable to the services of laundries and dry-cleaning. – Presidential Decree No 18-70 of 25 February 2018 ratifying the agreement between the Government of the Democratic Republic of Algeria and the Government of the United States of America on mutual assistance between their customs administrations, signed in Algiers, on 2 December 2010. Executive Decree No 18-165 of 14 June 2018 setting the procedures for the granting by the customs administration of advance rulings. – Executive Decree No 18-188 of 15 July 2018 setting the procedures for the exercise of deferred controls and retrospective controls by the customs administration. – Executive Decree No 18-300 of 26 November 2018 concerning the circulation of certain goods in the land area of the customs department. – Executive Decree No 18-301 of 26 November 2018 setting the form and model of the seizure minutes and the report of findings relating to customs infractions. – Presidential Decree No 18-96 of 20 March 2018 establishing an exclusive economic zone off the Algerian coast. – Executive Decree No 18-131 of 2nd May 2018 amending and supplementing the Executive Decree No 90-11 of 1st January 1990, establishing the National Office for School Publications (O.N.P.S). – Executive Decree No 18-195 of 22 July 2018 setting the measures relating to the adaptation and reintegration of students studying abroad in national schools. – Executive Decree No 18-196 of 22 July 2018 setting the status of the special high school and special classes. – Order of 4 March 2018 setting the composition of the orientation council of the electronic certification governmental authority. – Presidential Decree No 18-172 of 2nd July 2018, ratifying the Cooperation Agreement in the Oil and Gas Field, between the Government of the Democratic Republic of Algeria and the Government of the Republic of Mali, signed in Bamako on 3rd November 2016. – Presidential Decree No 18-173 of 2nd July 2018 on the ratification of the Energy Cooperation Agreement between the Government of the Democratic Republic of Algeria and the Government of the Republic of Mali, signed in Bamako on 3rd November 2016. – Executive Decree No 18-154 of 4 June 2018 setting the conditions and procedures for drawing up, approving and implementing plans for the restoration and protection of the water quality in the surface water reservoirs, and lakes and ponds threatened with eutrophication. – Executive Decree No 18-255 of 9 October 2018 amending and supplementing the Executive Decree No 07-145 of 19 May 2007 determining the scope, content and approval of studies and impact notices on the environment. – Law No 18-13 of 11 July 2018 on the supplementary finance law for 2018. – Notice No 02 /A.L.O/CC/18 of 2nd August 2018 relating to the control of conformity of the organic law relating to finance Law, to the Constitution. – Organic Law No 18-15 of 2nd September 2018 on the Finance Laws. – Executive Decree No 18-253 of 9 October 2018 setting the access procedures to the subvention and material assistance granted by the State to associations and groups of SMEs. – Law No 18-18 of 27 December 2018 on the finance law for 2019. Order of 9 April 2018 amending and supplementing the Order of 19 April 2010, establishing the quotas for Bluefin tuna fishing by vessels flying the national flag and operating in waters under national jurisdiction, and setting the procedures for their allocation and implementation. – Presidential Decree No 18-108 of 4 April 2018 amending the Presidential Decree No 17-243 of 17 August 2017, appointing members of the Government. – Presidential Decree No 18-59 of 5 February 2018 ratifying the cooperation agreement between the Government of the Democratic Republic of Algeria and the Government of the Republic of Mali in the field of health, signed in Bamako, on 3 November 2016. – Presidential Decree No 18-114 of 17 April 2018 defining the standard status of the mixed hospital. – Law No 18-11 of 2nd July 2018 relating to health. – Executive Decree No 18-223 of 24 September 2018 completing the list of public hospitals annexed to Executive Decree No 07-140 of 19 May 2007 on the establishment, organization and operation of public hospitals and nearby public health facilities. – Inter-ministerial Order of 26 June 2018 supplementing the Inter-ministerial Order of 17 September 1998 setting the criteria for the classification of specialized hospitals and sanitary sectors and their classification. – Executive Decree No 18-256 of 11 October 2018 amending the Executive Decree No 99-176 of 2nd August 1999 setting the procedures for the completion of the civil service for medical practitioners. – Executive Decree No 18-257 of 11 October 2018 establishing a civil service bonus for medical practitioners specialized in public health. – Executive Decree No 18-01 of 4th January 2018 amending the Executive Decree No 16-310 of 30 November 2016, setting the terms and conditions for the transfer of the right to lease of a public rental housing under the management of the OPGI. – Order of 30 January 2018 defining the technical specifications applicable to the realization of promotional assisted housing. – Inter-ministerial Order of 14 March 2018 defining the financial terms and conditions and the financing mechanisms for the realization of assisted promotional housing. – Executive Decree No 18-311 of 10 December 2018 amending and supplementing the Executive Decree No 14-203 of 15 July 2014 setting the conditions and procedures for the acquisition of public promotional housing. – Presidential Decree No 18-07 of 21 January 2018 approving the contract for the research and exploitation of hydrocarbons on the perimeter called “Bourarhat Sud II” (Blocks: 230 a, 231 a and 242 b), concluded in Algiers , on 28 November 2016 between the national agency for the valorization of hydrocarbon resources (ALNAFT) and the national company SONATRACH-Spa. – Presidential Decree No 18-08 of 21 January 2018 approving the amendment No 4 to the contract of 6 April 2000, for research and exploitation of hydrocarbons on the perimeter called “Rhourde El Rouni” (Block 401 c) concluded in Algiers, on 24 July 2017 between the national company “SONATRACH-Spa” and the companies “Petronas Carigali Overseas SDN, BHD” and “Cepsa (Rhourde El Rouni) Limited”. – Executive Decree No 18-52 of 30 January 2018 granting the national agency for the development of hydrocarbon resources “ALNAFT” mining titles for the research and / or exploitation of hydrocarbons activities. – Presidential Decree No 18-98 of 28 March 2018 approving the amendment No 10 to the contract of 24 November 1992 for the research and exploitation of hydrocarbons on the perimeters called “Oulad-N’Sir” and ” Menzel-Lejmat “(blocks: 215 and 405), concluded in Algiers, on 4 December 2017 between the national company SONATRACH SPA and the companies” PT Pertamina Algeria Eksplorasi Produksi “and” Talisman (Algeria) BV “. – Presidential Decree No 18-99 of 28 March 2018 approving the amendment No 3 to the contract of 10 July 2002 for the research, appraisal and exploitation of hydrocarbons on the perimeter called “Touat” (blocks: 352a and 353), concluded in Algiers, on 11 December 2017 between the national company SONATRACH-SPA and the company “GDF SUEZ E & P Touat BV”. – Presidential Decree No 18-100 of 28 March 2018 approving the amendment No 5 to the production sharing contract of 29 June 1998 for the development and exploitation of natural gas deposits, located in the region of In Amenas, concluded in Algiers, on 20 December 2017 between the national company “SONATRACH-Spa” and the companies “BP Amoco Exploration (In Amenas) Limited” and “Statoil North Africa Oil AS”. – Presidential Decree No 18-101 of 28 March 2018 approving the amendment No 1 to the contract of 29 October 2014 for the research and exploitation of hydrocarbons on the perimeter called “M’Sari-Akabli” (blocks: 332a, 339a1 and 341a3) concluded in Algiers, on 16 January 2018 between the national agency for the valorization of hydrocarbon resources (ALNAFT), the national company SONATRACH-Spa and the companies “Enel Trade SPA” and Dragon Oil (Algeria Alpha) Limited “. – Inter-ministerial Order of 31 March 2018 setting the determining methods of the coefficients R1 and R2 for determining the rate of the Petroleum Income Tax (TRP). – Presidential Decree No 18-152 of 4 June 2018 amending the Presidential Decree No 98-48 of 11 February 1998 on the statutes of the National Society for the Research, Production, Transport, transformation and Marketing of Hydrocarbons “SONATRACH “. – Presidential Decree No 18-177 of 2nd July 2018 approving the amendment No 1 to the contract of 29 October 2014 for research and exploitation of hydrocarbons on the perimeter called “Tinrhert Nord” (blocks: 235 b, 244 b and 223 b) concluded in Algiers, on 16 January 2018, between the national agency for the valorization of hydrocarbon resources (ALNAFT), the national company SONATRACH-SPA and the companies “Dragon Oil (Algeria Alpha) Limited” and “Enel Trade SPA”. – Presidential Decree No 18-178 of 2 July 2018 approving the contract for the exploitation of hydrocarbons on the perimeter called “Timimoun” (Blocks: 325 a and 329) concluded in Algiers on 13 December 2017 between the national agency for the development of hydrocarbon resources (ALNAFT), the national company “SONATRACH S.P.A ” and the companies ” TOTAL E & P ALGERIE ” and ” CEPSA ALGERIE S.L”. – Executive Decree No 18-200 of 2nd August 2018 granting the national agency for the development of hydrocarbon resources “ALNAFT” mining titles for the research and / or exploitation of hydrocarbons. – Presidential Decree No 18-237 of 9 October 2018 approving the contract for the exploitation of hydrocarbons on the perimeter called “Rhourde El Khrouf”, concluded in Algiers on 18 January 2018 between the national agency for the valorization of hydrocarbons resources (ALNAFT), the national company SONATRACH SPA and the company “CEPSA ALGERIE, SL”. – Presidential Decree No 18-238 of 9 October 2018 approving the amendment No 1 to the contract of 28 January 1996 for the development and exploitation of the wet gas of the deposit “Tin Fouye Tabenkort”, concluded in Algiers, on 11 June 2018 between the national company “SONATRACH-SPA” and the companies “TOTAL E & P ALGERIE” and “REPSOL EXPLORACION ARGELIA SA”. – Presidential Decree No 18-239 of 9 October 2018 approving the contract for research and exploitation of hydrocarbons on the perimeter called “Tin Fouye Tabenkort II”, concluded in Algiers on 11 June 2018 between the national agency for the development of hydrocarbon resources (ALNAFT), the national company SONATRACH-SPA and the companies “TOTAL E & P ALGERIE” and “REPSOL EXPLORACION ARGELIA SA”. – Order of 30 July 2018 appointing the members of the Supervisory Board of the Hydrocarbons Regulatory Authority. – Executive Decree No 18-51 of 30 January 2018 amending and supplementing the Executive Decree No 05-458 of 30 November 2005, setting the procedures for the exercise of activities for the import of raw materials, products and merchandise intended for the resale in the same condition. – Interministerial Order of 8 January 2018 approving the standard specifications setting the terms and conditions to access the quota or its tranches. – Executive Decree No 18-139 of 21 May 2018 amending and supplementing the Executive Decree No 18-02 of 7 January 2018 on the designation of merchandises subject to the import restrictions regime. – Order of 12 December 2017 approving the authorization to exercise in the Algerian insurance market, issued to foreign reinsurance brokers. – Executive Decree No 18-50 of 30 January 2018 amending and supplementing the Executive Decree No 98-410 of 7 December 1998, establishing, attributing and organizing the ministerial offices of the internal security of establishment. – Presidential Decree No 18-174 of 2nd July 2018 ratifying the Agreement between the Government of the Democratic Republic of Algeria and the Government of the Republic of Poland on the Establishment of a Joint economic, commercial, scientific and technical cooperation commission, signed in Algiers on 25 November 2017. – Presidential Decree No 18-259 of 15 October 2018 ratifying the Agreement between the Government of the Democratic Republic of Algeria and the Government of the Russian Federation on the Mutual Abolition of Visa Procedures for Holders of Diplomatic Passports or service, signed in Moscow on 19 February 2018. – Order of 19 December 2017 appointing the Board of Directors members of the National Agency for Investment Development (ANDI). – Order of 19 February 2018 amending the Order of 25 January 2017 appointing the members of the national committee for upgrading SMEs. – Order of 9 April 2018 setting the standard form of easements applicable to the investments located in the perimeter of the new city of Hassi Messaoud. – Inter-ministerial Order of 8 March 2018 on the exemption of customs taxes and value added tax for components and raw materials imported or acquired locally by approved subcontractors, as part of their production activities of assemblies and subassemblies for the products and equipment of the mechanical, electronic and electrical industries. – Order of 14 February 2018 amending the Order of 19 December 2017, appointing the Board of Directors members of the National Agency for Investment Development (ANDI). – Executive Decree No 18-170 of 26 June 2018 setting the missions, the organization and the functioning of the SME development and the promotion of innovation agency. – Executive Decree No 18-191 of 22 July 2018 amending and supplementing the Executive Decree No 03-290 of 6 September 2003 setting the conditions and the level of assistance provided to young promoters. – Executive Decree No 18-192 of 22 July 2018 amending and supplementing the Executive Decree No 04-02 of 3rd January 2004, setting the conditions and the levels of assistance granted to unemployed promoters aged between 30 and 50 years. – Executive Decree No 18-213 of 20 August 2018 setting the terms and conditions for the exploitation of wakfs real estate property intended for the realization of investment projects. – Presidential Decree No 18-279 of 4 November 2018 amending the Presidential Decree No 04-134 of 19 April 2004, on the status of the Investment credits guarantee fund for SME’s. – Presidential Decree No 18-55 of 5 February 2018 on the ratification of the Convention on judicial assistance in civil and commercial matters between the Government of the Democratic Republic of Algeria and the Government of the Republic of Chad, signed in Algiers, on 7 March 2016. – Presidential Decree No 18-73 of 25 February 2018 ratifying the convention on judicial assistance in criminal matters between the Government of the Democratic Republic of Algeria and the Government of the French Republic, signed in Paris, on 5 October 2016 . – Presidential Decree No 18-262 of 15 October 2018 ratifying the protocol of cooperation between the Government of the Democratic Republic of Algeria and the Government of the Republic of Mali on the exchange of knowledge and experience in the legal and judicial field, signed in Algiers on 15 May 2017. – Order of 7 March 2018 setting the list of specialties in which specialized assistants are appointed and the courts concerned. – Law No 18-14 of 29 July 2018 amending and supplementing the Ordinance No 71-28 of 22 April 1971, on the Military Justice code. – Presidential Decree No 18-49 of 24 January 2018 ratifying the Memorandum of Understanding on cooperation between the Government of the Democratic Republic of Algeria and the Government of the Republic of Mali in the areas of labor, employment and of social security, signed in Bamako on 3 November 2016. – Presidential Decree No 18-54 of 5 February 2018 ratifying the agreement between the Government of the Democratic Republic of Algeria and the French Republic, on the exchange of young workers, signed in Paris, on 26 October 2015. – Executive Decree No 18-193 of 22 July 2018 amending and supplementing the Executive Decree No 07-123 of 24 April 2007, setting the conditions and procedures for the granting and withdrawal of authorization to private workers placement agencies and setting the standard terms of reference for the exercise of public employment placement service. – Law No 18-12 of 2nd July 2018 amending and supplementing the law No 63-278 of 26 July 1963, setting the list of the legal holidays. – Executive Decree No 18-84 of 5 March 2018 amending and supplementing the Executive Decree No 08-242 of 3 August 2008, setting the conditions of access, exercise and the discipline of the notary profession and the rules of its organization. – Executive Decree No 18-85 of 5 March 2018 amending and supplementing the Executive Decree No 09-77 of 11 February 2009, setting the conditions of access, exercise and the discipline of the bailiff profession and the rules of its organization. – Order of 22 March 2018 on the opening of the national competition for access to the profession of notary and setting the terms for its organization and conduct. – Order of 22 March 2018 on the opening of the national competition for access to the profession of bailiff and setting the terms of its organization and conduct. – Presidential Decree No 18-53 of 5 February 2018 ratifying the Cooperation Agreement in the Field of Maritime Transport between the Government of the Democratic Republic of Algeria and the Government of the Italian Republic, signed in Algiers, on 14 November 2012. – Executive Decree No 18-190 of 15 July 2018 amending and supplementing the Executive Decree No 04-418 of 20 December 2004, on the designation of the authorities responsible for the security of ships and port facilities and the establishment of the relevant bodies. – Executive Decree No 18-202 of 5 August 2018 setting the terms and procedures for granting mining permits. – Executive Decree No 18-331 of 22 December 2018 setting the powers of the Minister of the Interior, Local Government and Territorial Planning. – Presidential Decree No 18-97 of 28 March 2018 amending and supplementing the Presidential Decree No 08-134 of 6 May 2008, setting the conditions for the recruitment of career officers of the National People’s Army. – Presidential Decree No 18-145 of 27 May 2018 setting the status of civilian personnel of the establishments belonging to the economic sector of the National People’s Army. 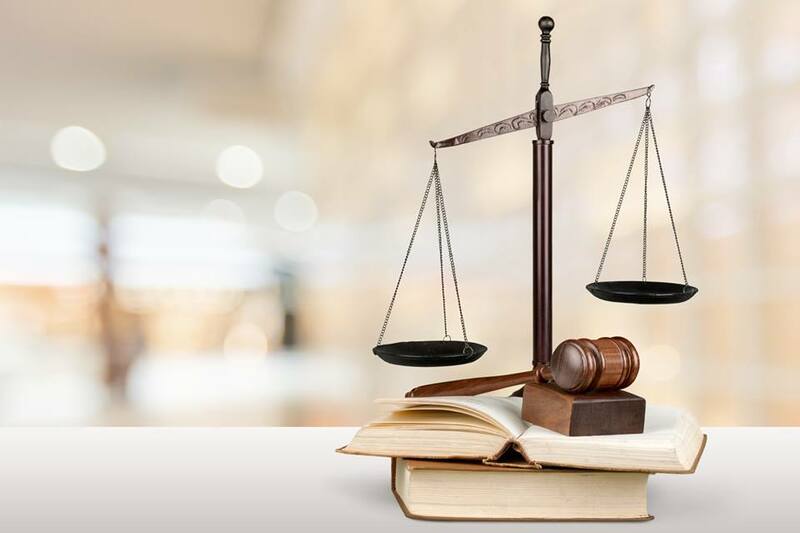 – Law No 18-06 of 10 June 2018 amending and supplementing the Ordinance No 66-155 of 8 June 1966 on the Code of Penal Procedure. Law No 18-07 of 10 June 2018 on the protection of persons in the processing of personal data. Presidential Decree No 18-71 of 25 February 2018 ratifying the Cooperation Agreement between the Government of the Democratic Republic of Algeria and the Government of the Republic of Mali in the fields of Plant Protection and Plant Quarantine, signed in Bamako, on 3rd November 2016. Presidential Decree No 18-140 of 21 May 2018 ratifying the Agreement between the Government of the Democratic Republic of Algeria and the Commission of the African Union on the Headquarters of the African Union Police Cooperation Mechanism (AFRIPOL), done in Algiers on 14 May 2017. – Order of 12 December 2017 setting the issuing conditions and modalities for diplomas of initial professional training. – Law No 18-10 of 10 June 2018 setting the rules applicable to training. – Executive Decree No 18-162 of 14 June 2018 setting the conditions of creation, opening and control of the private training or vocational education establishment. – Executive Decree No 18-250 of 9 October 2018 establishing professional training institutes. – Executive Decree No 18-251 of 9 October 2018 establishing specialized national professional training institutes and setting up professional training and apprenticeship centers in specialized national professional training institutes. – Executive Decree No 18-252 of 9 October 2018 establishing professional training and apprenticeship centers. – Order of 4 November 2018 setting the specifications relating to the creation, the opening and the control of a private training or professional training establishment. – Order of 24 October 2017 approving the salary indices and materials for the 2nd quarter of 2017, used in the formulas for updating and reviewing the prices of works contracts in the sector of construction, public works and hydraulics (BTPH). – Order of 28 January 2018 approving the salary indices and materials for the 3rd term of 2017, used in the formulas for updating and reviewing the prices of works contracts in the sector of construction, public works and hydraulics (BTPH). – Executive Decree No 18-199 of 2nd August 2018 on the delegation of public services. – Order of 25 July 2018 approving the salary indices and materials for the 1st term of 2018, used in the formulas for updating and reviewing the prices of works contracts in the sector of construction, public works and hydraulics (BTPH). – Executive Decree No 18-312 of 10 December 2018 declaring a public utility the operation relating to the achievement of the duplication, the modernization and the rectification of the East mining railway line. – Executive Decree No 18-153 of 4 June 2018 setting the transfer terms and the conditions of the State-owned real estate and property managed by Real estate promotion and management offices (OPGI). – Executive Decree No 18-189 of 15 July 2018 amending and supplementing the Executive Decree No 91-178 of 28 May 1991, setting the procedures for preparing and approving land use plans and the content of documents related thereto. – Inter-ministerial Order of 25 April 2018 amending and supplementing the inter-ministerial Order of 14 May 2011 setting the terms and conditions for the transfer of land belonging to the private domain of the State, intended for the implementation of housing programs assisted by the State. Order of 17 May 2018 on the revaluation of pensions, allowances and annuities of social security. – Order of 14 May 2018 amending the Order of 6 March 2008, setting the list of reimbursable medicines by the social security. – Order of 14 May 2018 amending the Order of 6 March 2008 setting the reference rates used as a basis for the reimbursement of medicines and their implementation modalities. – Executive Decree No 18-228 of 24 September 2018 amending and supplementing the Executive Decree No 10-116 of 18 April 2010 setting the content and conditions for the issue, use and renewal of the social insured’s electronic card and electronic keys of health care structures and professionals. – Presidential Decree No 18-287 of 17 November 2018 ratifying the protocol annexed to the general convention between the Government of the Democratic Republic of Algeria and the Government of the French Republic on social security of 1st October 1980, concerning the health care programs, made in France to Algerian citizens socially insured and poor socially non-insured residing in Algeria, signed in Algiers on 10 April 2016. – Executive Decree No 18-313 of 10 December 2018 setting the procedures of declaration to social security non-employees scheme for persons engaged in commercial activity, for their own account. – Order of 16 January 2018 amending the Order of 10 November 2015 appointing the Board of Directors members of the Algerian Institute of Standardization. – Presidential Decree No 18-166 of 20 June 2018 on the non-transferability of structures belonging to the public establishment of the Sahel State residence. – Presidential Decree No 18-74 of 25 February 2018 ratifying the Constitution and Convention of the African Telecommunication Union (Cape Town, December 1999, Harare 2014 revision). – Inter-ministerial Order of 17 December 2017 setting the internal organization of the structures of the national body for the prevention and fight against offenses relating to information and communication technologies. – Order of 5 February 2018 amending the Order of 5 November 2015 setting the list of the board of directors members of “Algerie – poste”. – Order of 7 February 2018 amending the Order of 15 June 2016 appointing the guidance council members of the National Institute of Telecommunications and Information and Communication Technologies. – Law No 18-04 of 10 May 2018 setting the general rules relating to postal and electronic communications. – Executive Decree No 18-246 of 9 October 2018 determining the content and quality of the universal postal service and the universal electronic communications service, the rates applied to them and their financing method. – Executive Decree No 18-247 of 9 October 2018 setting the management modalities of the support fund for the universal postal service and the universal electronic communications service. – Presidential Decree No 18-260 of 15 October 2018 ratifying the memorandum of cooperation agreement between the Government of the Democratic Republic of Algeria and the Government of Hungary in the field of information and communication technologies, signed in Algiers on 5 December 2017. – Inter-ministerial Order of 26 March 2018 setting the organization of the central administration of the Ministry of tourism and crafts in offices. – Presidential Decree No 18-261 of 15 October 2018 ratifying the memorandum of agreement in the field of tourism between the Government of the Democratic Republic of Algeria and the Government of Hungary, signed in Algiers on 5 December 2017. – Executive Decree No 18-112 of 5 April 2018 setting the model of the commercial register extract issued in electronic format. – Order of 11 January 2018 amending the Order of 16 March 2016 setting the list of names of the board of directors members of the national center of the commercial register. – Law No 18-05 of 10 May 2018 on electronic trade. – Law No 18-08 of 10 June 2018 amending and supplementing the Law No 04-08 of 14 August 2004, on the conditions for the exercise of commercial activities. – Law No 18-09 of 10 June 2018 amending and supplementing the Law No 09-03 of 25 February 2009 on the consumer protection and fraud repression. – Order of 21 July 2018 amending the Order of 2 November 2017, setting the extract of the commercial register period of validity issued for the exercise of certain activities. – Executive Decree No 18-230 of 25 September 2018 defining the procedures for drawing up and setting the list of goods subject to the provisional additional safeguard tax and the corresponding rates. – Executive Decree No 18-05 of 15 January 2018 setting the organization of vehicle conformity inspection and the modalities for its exercise. – Order of 15 March 2018 setting the terms and conditions of approval for the exercise of the conformity assessment of vehicles and vehicle bodywork. – Order of 20 March 2018 setting the composition and functioning of the files instruction commission for the exercise of conformity assessment of vehicles and vehicle bodywork. – Order of 8 April 2018 empowering the directors of wilayas water resources to represent the minister of water resources in legal proceedings. – Executive Decree No 18-163 of 14 June 2018 repealing the Executive Decree No 08-303 of 27 September 2008, setting the attributions and the rules of organization and functioning of the regulatory authority of water public services. – Executive Decree No 18-248 of 9 October 2018 declaring public utility the operation relating to the realization raw water transfer for the feeding of the phosphate processing plant of “Oued Keberit” wilaya of Souk Ahras. – Executive Decree No 18-249 of 9 October 2018 amending the Executive Decree No 06-105 of 2nd March 2006, declaring public utility the operation relating to the construction of a sewerage system and works for the fight against the upwelling of the Oued Souf.